Last October, when my best friend came to visit, I asked him to bring me a few tubes of L'Oreal's Voluminous Original Mascara. 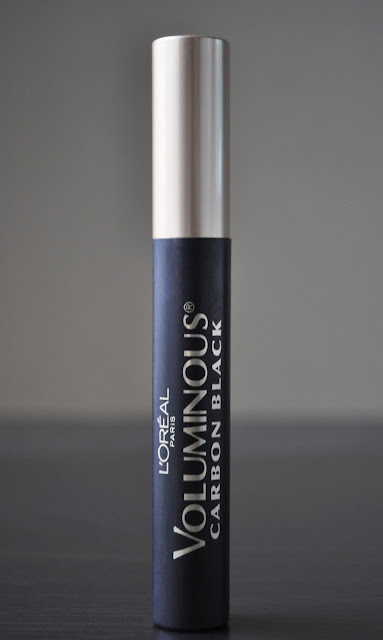 When I started getting into makeup, L'Oreal's Voluminous Original was the first mascara I used, and it's been in my mascara rotation ever since; that is, until I used up my last tube five years ago. L'Oreal is available over here, but for whatever reason, the Voluminous Mascaras are not on the menu. Has the formula changed? I always used the regular formula, and never had issue with smudging. I know it's exceptionally humid in Tokyo (even during the Fall and Winter), but goodness, after a few hours, I had a smudgy mess on the outer half under my eyes. After three weeks of chances, I called it quits, are returned to my beloved Helena Rubinstein (which is humorous considering L'Oreal purchased the brand almost 30 years ago). 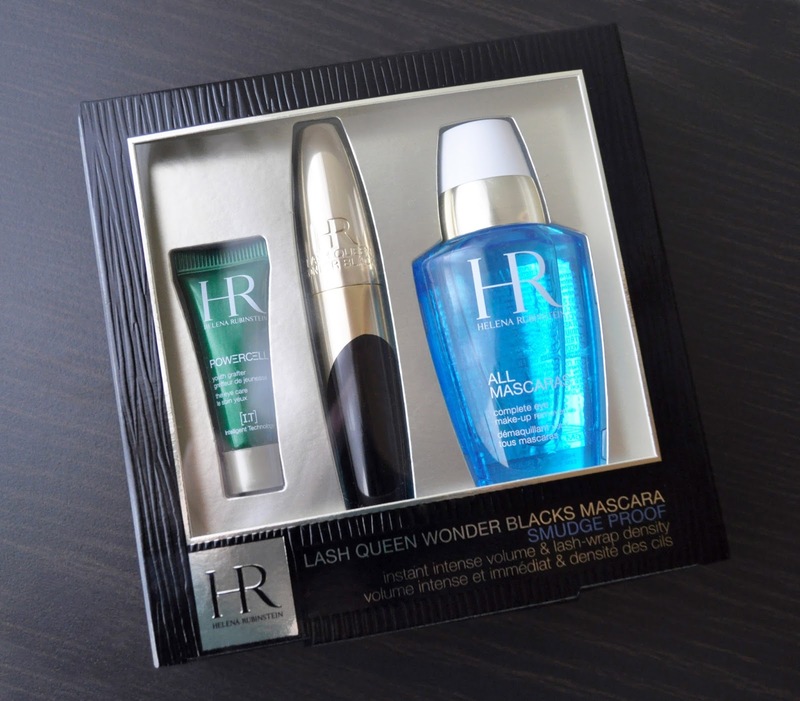 On August of 2016, Helena Rubinstein introduced the Lash Queen Wonder Blacks into their stellar mascara lineup. The Lash Queen Wonder Blacks retails for 5,748 yen, but at the time of my purchase, the counter was offering a limited edition coffret with a full size Lash Queen Wonder Blacks, a generous, travel size All Mascaras! Makeup remover, a modest, sample size Powercell Eye Contour for 6,156 yen. Obviously, I went for the better deal. All of the Rubinstein mascara have comely packaging and wands. I like the design, and the gold and black coloring of the tube. 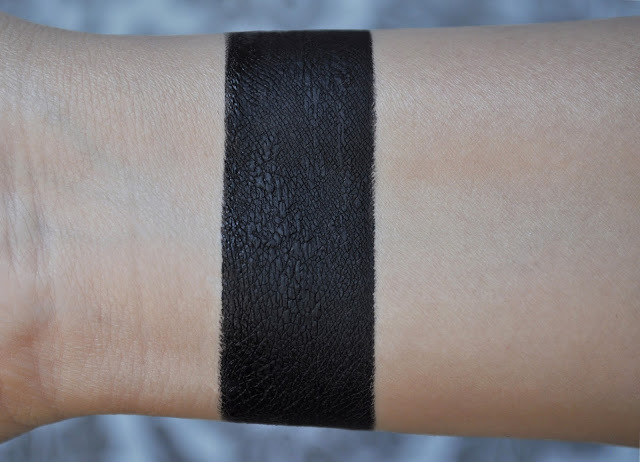 This is not an slight on Lash Queen Wonder Blacks, but it reminds me of a killer whale. 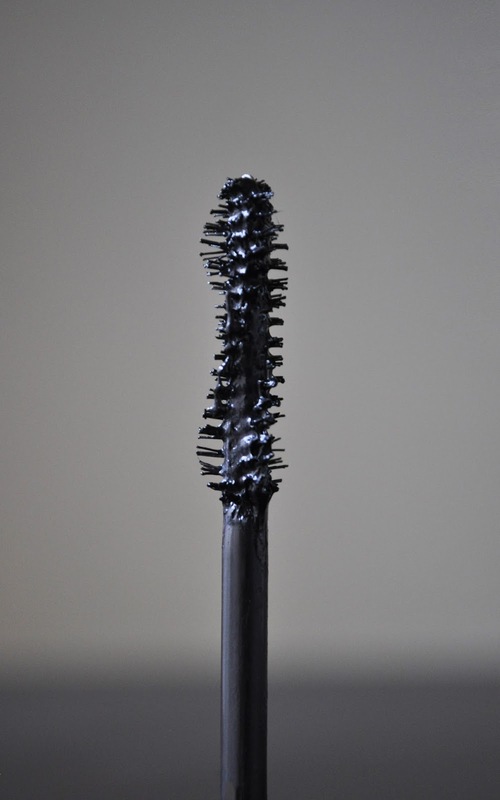 The helical-shaped brush, and its alternating long and short bristles, distributes the product evenly thought out each eyelash; thus, leaving them separated, thicker, and elongated. Also, I really liked how the curve of the spiral wand perfectly hugged my bottom lashes, and combed through them with ease. The sooty, inky-black pigmentation gives the eyes smoldering definition. The formula and pigment of this mascara are topnotch. My lashes are coated in a rich black coloring, and look voluminously fuller, with a curl that lasts until I get home and wash my face. Although not waterproof, Wonder Blacks doesn't smear nor flake. A creamy, gel-like consistency, the formula features two key ingredients: Pro-keratin and Ceramide R serum. A restorative agent, Pro-keratin works on the surface to repair damage and strengthen the hair shaft; while the Ceramide R smooths, protects, and improves the lash stem. 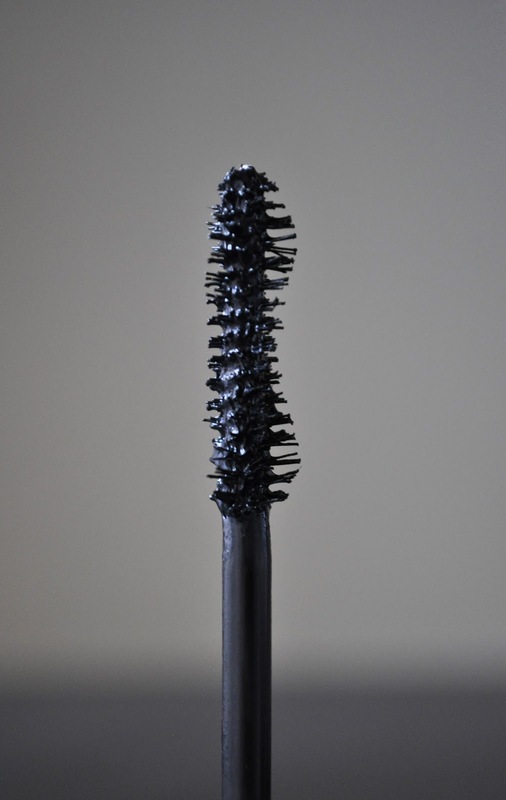 Normally used in haircare products, since both ingredients are naturally found in hair, it only makes sense to incorporate them into a mascara. The Lash Queen Wonder Black mascara lasted for four and a half months. And, after using it for that time frame, I do feel as if the condition of my lashes has improved. The combination of the wand and formula of Lash Queen Wonder Blacks is simply magical. 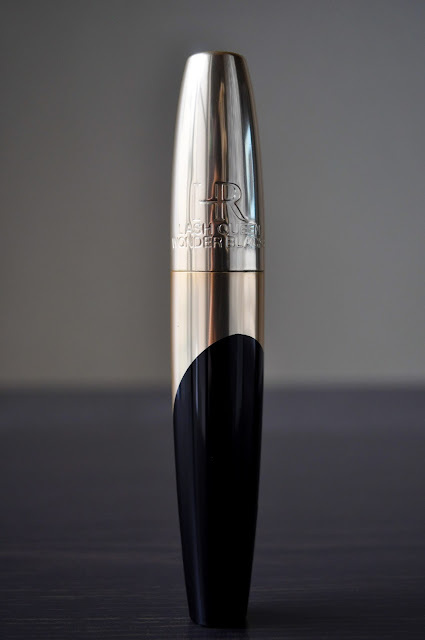 Of the nine Helena Rubinstein mascaras, Lash Queen Wonder Blacks is among my top three. I must be the only person in the world that wasn't satisfied with HR mascaras... Both the regular and waterproof formulas flaked and smeared on me, yet the waterproof one was such a pain to remove... My lashes just don't abide luxury... I JUST WANNA LOVE YOU DAMMIT! Say it ain't so Anna! 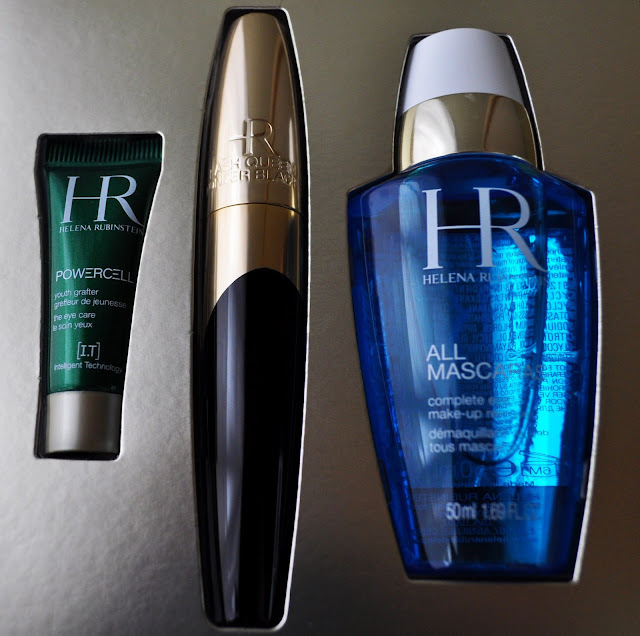 HR mascaras are some of my favorites. It pains me to hear that they didn't work for you :( I used oil cleansers to remove my makeup, and I've never had issue with the WP mascaras. What are you using to remove your makeup? BTW, did you get my package? Hi, Liiiiz! So happy you managed to get back on my comment! I know, it's sad... True story: I actually bought my first HR mascara after finding your blog cause...you know... your eyelashes are to die for, woman! Alas, it didn't work... And then a few months later Lisa Eldridge did a vid on products she stocks up on when in Japan and an HR mascara was in there, so I decided to give it another go. They just don't work on me. Shame the mascara didn't work for you. What are you using now? Did everything in the package arrive safely? Hope you liked everything.